Ireland is going to host a big team in two years. It’s an irony that the last time when the hosts hosted an international team, it was the Islanders as the guest who came to play two match series in Dublin in 2014. Since then, the team has started getting recognition. Now, the Irish team is not considered as a fresh one. If it’s their day, then they can beat any other team irrespective of the conditions. Ireland may keep as many as eight players from the 2014 squad. The fast bowler Boyd Ranking will be their key. 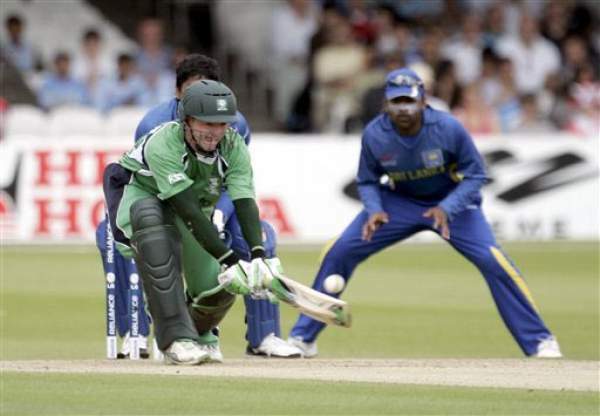 The Irish team will play without its leading batsman and wicket-keeper Niall O’Brien. He is suffering from a torn calf muscle which he got during a game for Leicestershire. He is on the rest for at least six weeks. John Anderson will replace him in the team. Except him, the captain has a full squad to choose from. Sri Lanka lost to England in the test due to its terrible test form. Now, the team would be hoping for an improvement and not spilling their bad form on the 50-over cricket format. It was a very bad defeat as they lost by 2-0. Following that defeat, SriLanka has made several changes to their side and are now hoping to get some improvement. The most unexpected change is the removal of the all-rounder Milinda Siriwardana. He turned out to be the highest scorer among the batsmen and second best among bowlers. He got the desired and expected start of his career last year against New Zealand. They have included all-rounder Farveez Maharoof, who last played for the national team in 2012. SriLankan captain Angelo Mathews and his men are the favorites in this particular match. IRE vs SL 2nd ODI is to start at 9:45 am BST and 3:14 pm IST. The residents of the UK can catch the live action on Setanta Sports Ireland. Squad: William Porterfield (c), John Anderson, George Dockrell, Ed Joyce, Andy McBrine, Barry McCarthy, Tim Murtagh, Kevin O’Brien, Stuart Poytner (wk), Boyd Rankin, Max Sorenson, Paul Stirling, Stuart Thompson, Gary Wilson. Squad: Angelo Mathews (c), Dushmantha Chameera, Dinesh Chandimal (wk), Dhananjaya de Silva, Niroshan Dickwella, Shaminda Eranga, Nuwan Pradeep, Danushka Gunathilaka, Suraj Randiv, Dimuth Karunaratne, Suranga Lakmal, Farveez Maharoof, Kusal Mendis, Dilruwan Perera, Upul Tharanga, Lahiru Thirimanne.